Create Your Bulletin Board in a Snap with Premade Templates! 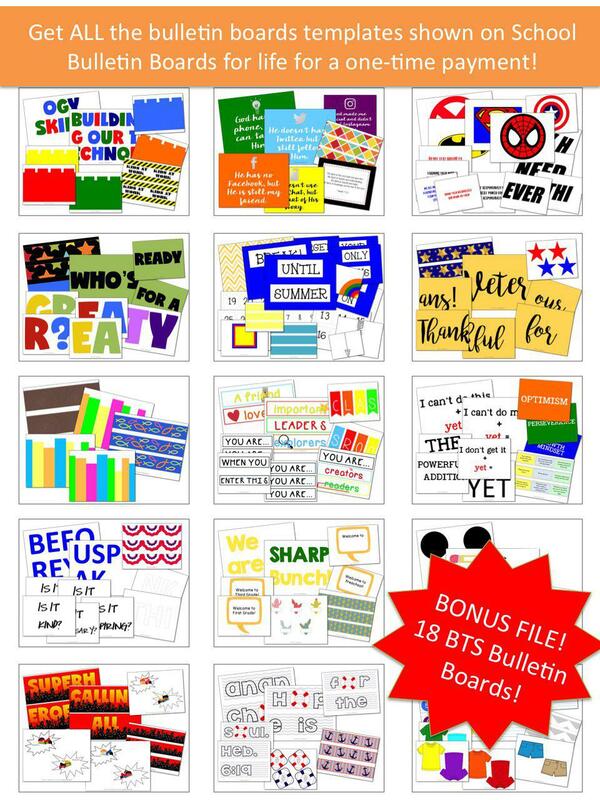 This full site bundle is ONE PAYMENT and you get access to ALL bulletin board templates shown on the site and as they are added in the future as well! Only a limited quantity will be sold before the price goes up. "Any time I need a new bulletin board, I can simply head to School Bulletin Boards and find one to use in a snap. It saves me so much time!" "WOW! I get all the bulletin boards now and in the future for one price? Plus an extra 18 for back to school? It's so worth it!"